As usual, this is primarily based on one source. In this case, it is a really really good source! Like, a foundational source, Rosie Thomas article “Sanctity and Scandal”. You can (and should!) read the whole thing here. The article is about Nargis, but she is just a case study. The real point of the article is to consider how differently the Indian film audience interacts with their stars, the way everyone knows everything about their personal lives and those personal lives are woven into the film and the films into their personal lives. Which is also, I hope, the spirit in which you take these posts. Sure the gossip is fun, but it also helps you to understand the films on a different level. Moving on, Nargis! Now, Nargis was from back in the era when fan magazines just randomly made things up and then repeated them until they were accepted as fact. So a lot of her life, especially this section about before she got famous, is most likely completely made up. Well, almost completely made-up. I am sure there is a little grain of truth to it. According to the fairy tale made up version, Nargis’ life and backstory is more exciting than any film she was in. Supposedly, she came from a famous family of Tawaif’s in old India. So famous that back in the 1890s, Jawalal Nehru Sr., one of the foremost political leaders in Delhi and a major part of the beginnings of the Indian National Congress, used to visit them. And, while at home he legitimately fathered Jawalal Nehru Jr., he illegitimately fathered Nargis’ mother Jaddanbai, born into the house of a Tawaif. Jaddanbai grew up in a Tawaif household but dreamed of more. She fell in love with a young physician and ran off with him (possibly married him, depending on which version you hear). This was Nargis’ father. But he left them, and Nargis was left to be raised by a single mother. At this point we start getting a bit out of the fairy tale and into the confirmable part. 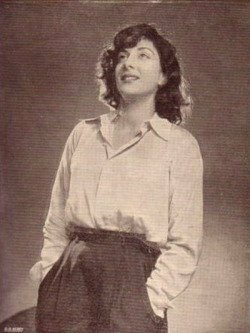 Nargis and her mother landed up in Bombay, where her mother started working as singer and eventually a music director (the first female music director) in films. Nargis went to school and dreamed of being a doctor herself (supposedly). But when she was 14, following the Tawaif tradition, she was pulled out of school and presented to various men and her mother started working on getting the most profitable and advantageous sale of Nargis. Supposedly, in the fairy tale version, she really was sold to an older wealthy Nawab who took her virginity around this time, just like Tawaif daughters always experience. In the non-fairy tale version, she was also “sold” to Mehboob Khan, a rising director and screenwriter who gave her a launch movie and remained as a supportive mentor and presence in her life from then on. Okay, that’s the fairy tale. Here’s what my own judgement based on all the many gossip articles and stories I have heard tell me is probably true. 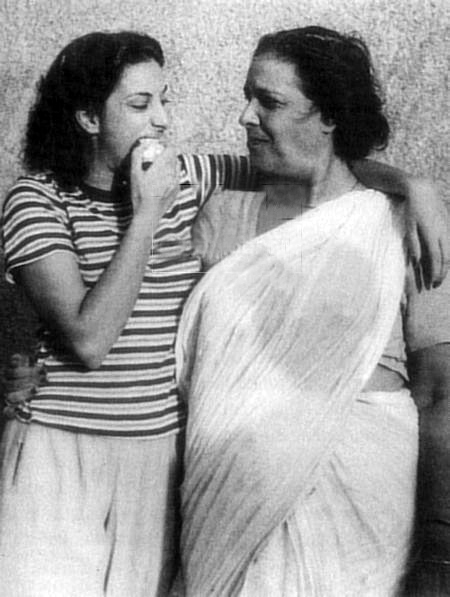 Nargis and her mother were definitely part of the film crowd, and her mother was a successful singer and music director in the industry in Bombay. And they did come from the Calcutta area before then. They did well in Bombay, and did well before Bombay too. Remember how Meena Kumari also came from a performing family of talented artists? But they lived in poverty and struggle until she became famous? That doesn’t seem to be what happened with Nargis. She and her mother arrived in Bombay with a good enough stake and connections that they could easily find a place in the higher level of the filmi crowd. And her mother was successful enough that Nargis could go to school and enjoy her childhood. What all of this means is that I kind of believe the Tawaif background story. 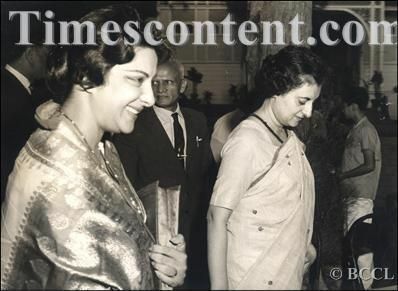 Not all of it, the whole Nehru connection seems fairly specious and just based on the remarkable resemblance between Indira and Nargis. But I believe that Nargis came from a family with a long performing tradition and a fair amount of money. And no husbands. Which all could mean Tawaif at some point in the distant or recent past. Not the dramatic filmi Tawaifs, but women who were the best trained artists in India and could charge high prices for performances. And didn’t necessarily need a husband to help arrange those performances. Once the Tawaif culture started dying, it would make perfect sense for someone from such a family to start migrating to a more “respectable” area of performing, giving singing concerts and making a name for herself, and eventually moving to Bombay to work in films. I really don’t believe the “doctor” part of it (especially because that whole part of the story has been abandoned in recent years). That seems like such a transparent attempt to put some middleclass respectability on to Nargis’ unrespectable past. She may have been raised by a single mother who worked as a performer, but her father was a doctor, so it’s okay. She’s “really” one of us. Similarly, I don’t really believe the “Nargis just wanted to study medicine!” part of her backstory. Maybe she liked school and kind of thought she might be a doctor. But I kind of thought I might be a doctor when I was 14. Or a lawyer or an artist or librarian. Kids think a lot of things at that age. I don’t think she was pining away wishing she could give up the unmaidenly and shameful acting profession just so she could heal people. I think if she was raised in a household where her mother worked in films, it must have been pretty clear all her life that it would be her destiny as well. And that whole film contract at 14 couldn’t have been such a shock, may have even been something she was actively involved with and looking forward to. I also really really don’t believe the “her mother auctioned off her virginity!” story. That feels not just unlikely, but kind of vicious. A slam at single mothers, at working mothers, and at the Muslim culture all at once. Saying that her Tawaif-like mother couldn’t possibly have imagined a better life for her daughter, wouldn’t have the morals or feeling to understand what poor sensitive “her-father-was-a-doctor-you-know” Nargis would feel. The real reason I don’t believe much of this backstory is because it doesn’t fit with what we see in front of our own eyes once Nargis started working and became public! I think that’s why it was invented, because they had to come up with this elaborate story to mask what was clearly happening. What makes a heck of a lot more sense is that Nargis grew up in an artistic household with artists all around her. And men in and out of her mother’s life (some accounts say she had 3 different husbands and children by each of them). And so for her, the idea of a career over marriage, and building a friendly working relationship with men and women equally, would have been perfectly acceptable. And that’s what she did! Her first movie, when she was 14, was the 9th most successful film of the year. She kept working with Mehboob Khan after that, taking another 2 years to prepare for and star in a massive historical epic, very different from the light comedy in which she was launched. And after that, her career was set. 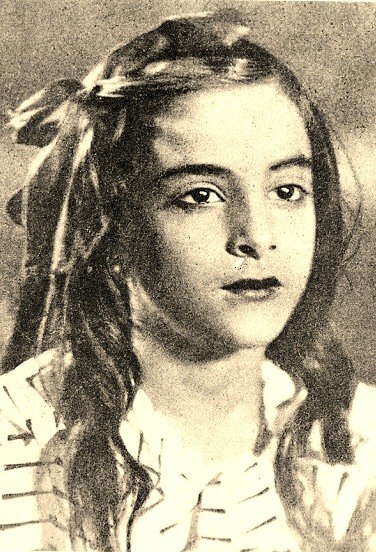 She was so big, she even had a film named after herself, “Nargis” in 1946 when she was 17. Nargis also had a clear image of herself onscreen by this point. And it matched with how she seems to have been offscreen. Nargis was the “modern” woman. She wasn’t happy to just sit at home and wait for others to decide her life. She wanted to go out into the world and grab it in both hands. She wanted to control her own destiny and plan her own future. And she wasn’t afraid of anything. Nargis took her own meetings with directors and scriptwriters. Mehboob Khan was her mentor, but he didn’t control her. And her mother didn’t either. Nargis decided things for herself. And she joined in the film world just as her mother had before her, hosting parties and going around to offices and acting like, well, a man! It seems almost silly to wonder at this point if Nargis had already had a love affair before her big Love Affair. Maybe she did, maybe she didn’t, but if she did, I am pretty sure it was one she wanted and chose for herself. And one that she walked out of with an unbroken heart and spirit. Something else I want to point out, just in case you missed it, I mentioned that Nargis got a good launch, a strong career, healthy relationships with her co-workers, and self-confidence. Meena Kumari had none of that stuff. Even her career success only came long after it was due and only thanks to her talent. Meena Kumari was raised by a father who never let her out alone, and married to a husband he insisted she be home to serve him dinner every night. Nargis, raised in this sort of wild artistic household with a single mother, she turned out great! Which brings me back to the fairy tale. It seems like the whole backstory that people came up with for her was trying to deal with her obvious, well, happiness! And confidence and class. Firstly, her class and sort of uppercrust gloss, that had to be explained away with a father who was as middle-class as she. Plus, that she wasn’t “really” an actress at heart, at heart she wanted to be a doctor, the most respectable career for a woman. And secondly, her happiness had to be explained as all an illusion. She may seem contented with her single working life, but remember that is just hiding the pain of coming from a fallen family, a mother who sold her childhood, all of these terrible things. So don’t dream, Young Female Film Fans of India, about living this glamorous life, ultimately it is all shallow and pointless! I wish Nargis had had a life that was all happiness and no drama, just to prove that a woman can. But unfortunately, at age 18, she was about to enter into the biggest romantic drama in the history of the Indian film industry. This entry was posted in Hindi Film 101 and tagged Doctor, Hindi Film 101, Indira Gandhi, Jaddanbai, Mehboob Khan, Nargis Dutt, Tawaif by mredlich21. Bookmark the permalink. It was nice to read about someone with a pretty happy and cheerful childhood. A very enjoyable installment. I was a bit sad when I reached the end (especially with the storm brewing in the next part). “Storm brewing” I love that description! Prime Minister Jawaharlal Nehru’s father was Motilal Nehru.Haven’t heard the Indira-Nargis story.But it sounds delicious even if it is totally false. As for the story about Nargis being ‘auctioned’ at 14 -that’s likely to be true.Happy childhood and loving mother notwithstanding.Reprehensible but girls were considered as adults once they started menstruating.Child brides were sent to their husband’s household at that age in those times.So it’s pretty likely that Nargis’s mother considered her an adult and deemed that she should start bringing money to the household.Something which no loving mother should do to a teenager but it happened and is still happening.That Nargis turned out to be a well-adjusted happy adult doesn’t take away the fact that what her mother did was pretty horrible. I don’t know, I can believe that she was sent out to work as an actress, but the auctioning of the virginity still seems a bit extreme to me. If nothing else, she was already bringing money into the household by acting, why add on a complication and work in prostitution as well?